Inspecting your roof on a regular basis for roof repairs or restorations can prevent some costly repairs down the road. Keeping your roof in good condition will also be a benefit if you decide to sell your home. The National Roofing Contractors Association (NRCA) recommends you do a roof inspection at least two times a year, the best times being in the spring and fall. What should you look for when you inspect your roof? The best place to start is in your attic. This is considered a major repair of your roof system. Roof restoration can significantly extend the lifecycle of your roof by completely refurbishing the entire roof. Ferguson Roofing can come to your home or business and identify major deficiencies for restoration before a costly replacement is necessary. 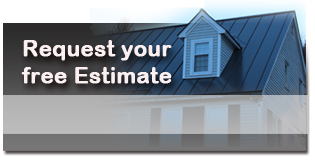 A roof restoration can cost about half as much as a full roof replacement. Roof repair is a more affordable and immediate solution to a leaky roof. Most all roof leaks originate from flashing conditions. Flashing conditions are where the roof changes directions in certain sections such as air conditioning units, exhaust vents, skylights or walls. For more information about our roofing restoration or repair services, please feel free to call or email us with your roofing questions. We will gladly discuss your options and provide a no-cost estimate.